Our test lab provides the precondition to prove the performance of our Xtreamor. Here we meet the diverse needs of our customers in terms of efficient conveying and pressure generation of various materials up to the development of new process solutions. 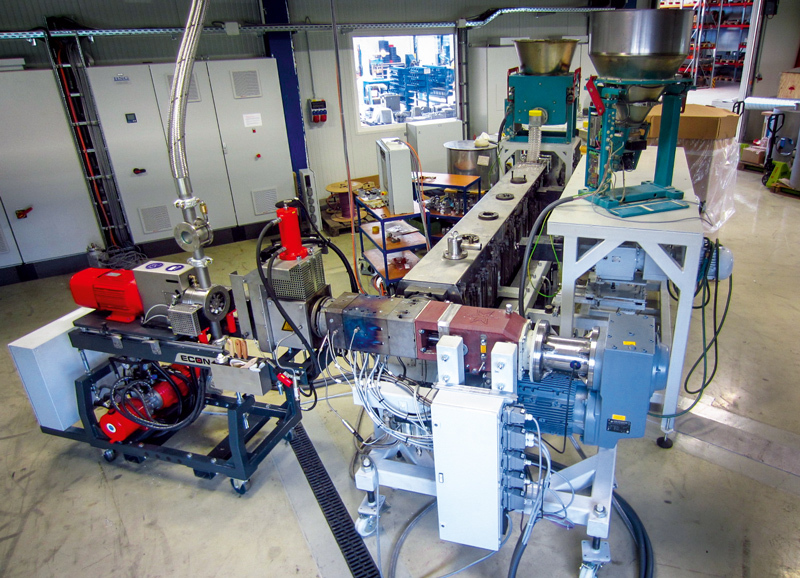 The Feddem twin screw compounding line DEC 72 – MTS 42L/D offers with its two side feeders and several dosing units from Schenck Process the best preconditions for a variety of compounding jobs. An Xtreamor® HMP 2-100, equipped with an extensive sensor system creates the required melt-pressure. For producing pellets an underwater pelletizer system EUP 600 from Econ and a granulate classifier from Trendelkamp Technologie is available. The conditioning of the process water is done by a cooling plant from GWK. Of the achieved product quality you can convince yourself immediately: here we have our ultramodern laboratory.